This is an advertisement which was removed from an auction catalogue from the year 2009. 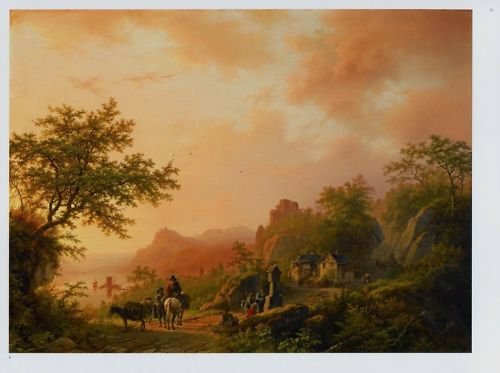 The image shown in the ad is of a work titled "Summer Landscape with Travellers on a Path" by Barend Cornelis Koekkoek. The page measures approximately 8 inches high by 10 1/2 inches wide (including margins).